I am halfway through my 9+1 journey! It has been a huge struggle to put myself through this challenge alone but I’m managing to find the motivation to keep going. Secretly, though, I like being the only one in my immediate network to be doing this because it makes me feel beastly. 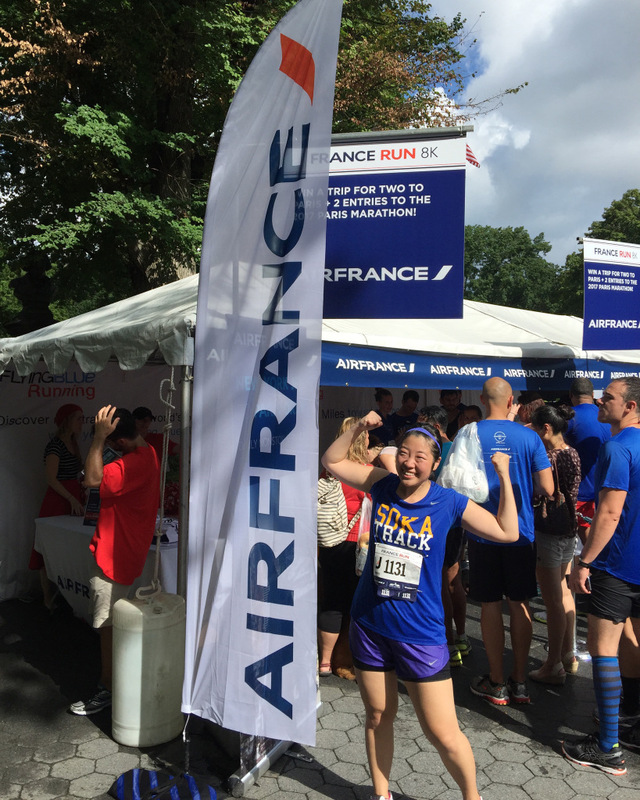 On Sunday, August 21st, I completed the France Run (8K) 2016, sponsored by Air France, and managed to survive all eight kilometers a.k.a. five miles. The last time I ran five miles was at the LGBT Pride Run in mid-June and that was tough. When it started raining during the second mile, I knew it was going to be a great race. Here are five reflections from race day. When I started my 9+1 journey, I dreaded volunteering. As I complete race after race, however, my appreciation for volunteers continues to deepen. Even though it’s a requirement for 9+1 participants, all the volunteers work tirelessly to ensure that races go smoothly. In UX, we say that good experiences are invisible. This principle applies to the commitment that volunteers bring to the races as well. Even on a day when it came pouring down, they still remained champions and made sure we had a phenomenal racing experience. When I serve my volunteer shift on Sunday, September 18th at the TCS New York City Marathon Tune-Up (18M) race, along with the TCS New York City Marathon, I will make sure that I’m contributing to the runners safety and success. Running is a tough sport. And it’s not for everyone. It’s also not one that most people “get.” But once those five S’s are embedded into your soul, then running is going be your sport for life. Sometimes, people ask for running advice so they can lose weight and be healthier but I always say that if you’re not prepared to suffer for that sense of satisfaction, you won’t be able to sustain themselves as runners. It’s important to train yourself as runners in the technical aspects but also carry that fierce spirit. Thank you to Peter Ciacca, President of NYRR and Race Director for the TCS New York City Marathon for reminding all of us on the morning of the race that as runners, we need to have stamina, speed, strength, skill and a vibrant spirit to succeed. Part of why I started running is because a family member was temporarily paralyzed and had to relearn daily movements. Watching him struggle made me realize that it could happen to me too. I didn’t want to grow old not having accomplished at least one big athletic feat. So I decided to finally go after the New York City Marathon, something I’ve wanted to do for fifteen years. Training for the Marathon and racing gives me the biggest sense of satisfaction. I learn to love and appreciate my body more because my muscles are getting stronger and my pain tolerance is getting higher. I always sprint through the finish line because a race isn’t over until I collapse. And my hunger to get better only deepens my love for my body. There are no teams that bring me greater pride to represent than my own alma mater, Soka University of America‘s Track & Field and Cross Country teams. At every race, I proudly wear my SUA track shirt because I want everyone out there to know what I stand for: global citizenship, love for humanity and champions of society. Every now and then, someone comes up to me and asks what Soka means and I’m always delighted to explain. This time, someone came up to me and said that she is a huge fan of SUA herself. Connecting with her brought me happiness because that’s one more runner here with the heart of a lion. Team, you can count on us to represent! 5. I keep getting PRs! My personal record game is super strong right now. I love that NYRR post the race results immediately after. I went into my account to see what my finishing time was and saw that I had shed off three minutes. Three whole minutes! I also improved my average mile pace down by thirty seconds. For people who don’t understand running, I’m letting you know that it’s a huge deal. It’s hard to believe how much time I keep taking off, especially in comparison to the first race I ran for my 9+1, which wasn’t too long ago. I didn’t think I would become stronger at this rate but when I’m building speed through commitment, I shouldn’t question it. Now, I’m considering running that 15K race at the end of the year – what do you think? 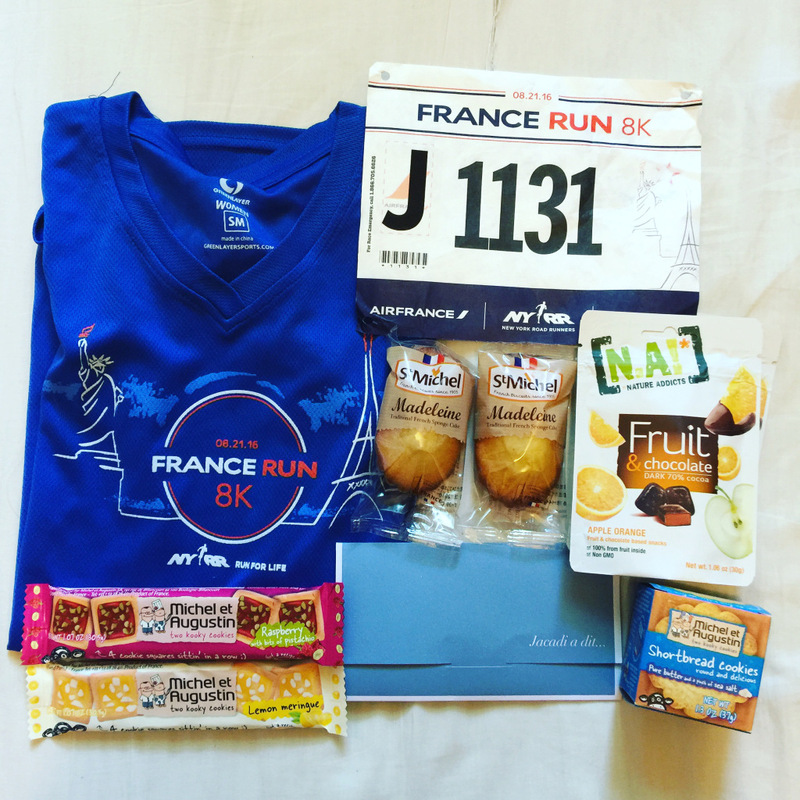 I live for these amazing post-race souvenirs, including my raffle win! After the race, I stuck around for the raffle drawings, completely believing that I’m not going to win anything because I never have. 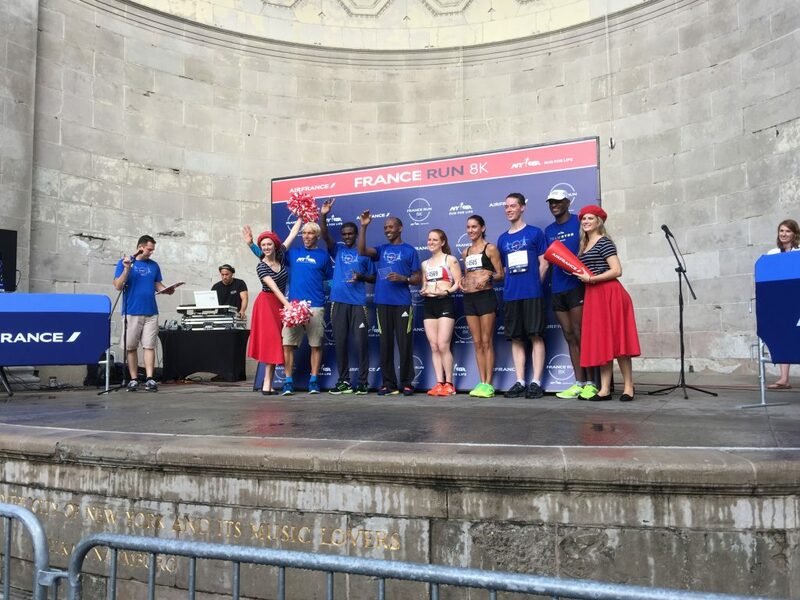 Lo and behold, the first prize they announced was a gift certificate to Jacadi, a Parisian clothing store for children and my bib number was called! I had to double-check my own bib to see if I heard correctly but it was definitely me. All the other prizes were pretty amazing as well, including a pair of round-trip tickets to France, courtesy of Air France. Wonderful, isn’t it? I hope the winner of that has a great time. 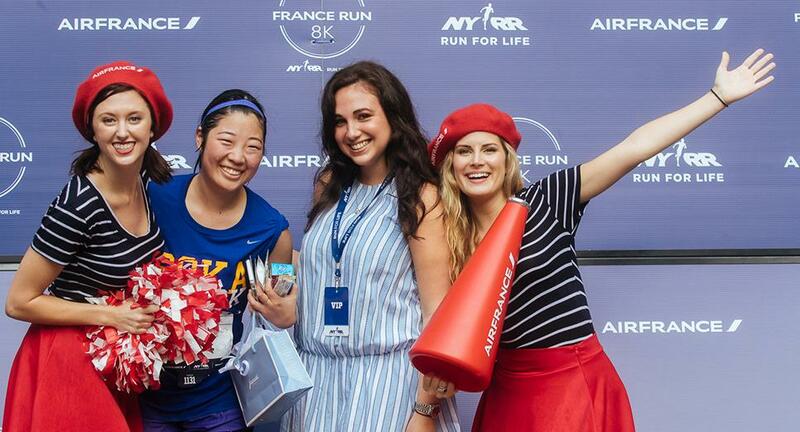 My next race is bright and early tomorrow on Saturday, August 27th and I’ll be running my first 5K (for real, this time since the NYRR R-U-N 5K was cancelled) in Harlem.